DESCRIPTION You will fall in love with this spacious 2 storey home located on a quiet street in Evergreen Estates. It is in absolutely immaculate condition showing no signs of wear. The open plan features hardwoods on both floors and 9 foot ceilings on the main. You enter a foyer adjacent to a flex room that can function as a den or dining room. Past the flex room, you will find a large living room with a gas fireplace with gorgeous stonework. 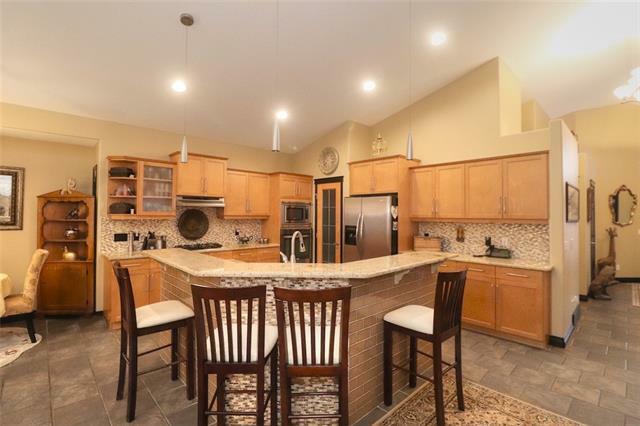 The kitchen is stunning with its maple cabinets, granite counters, and s/s appliances. Enjoy the view of the beautifully landscaped back yard through the large windows or from the raised deck. The mud room leads to an oversized double garage that is fully finished. Upstairs, there is a massive bonus room and three bedrooms including a master bedroom with a walk in closet and a luxurious five piece en suite. Feel confident this home has been well maintained with its newer roof, HWT, and upgraded insulation. This home lacks nothing and is move in condition. Do not miss it! Home for sale at 536 Evergreen Ci Sw Calgary, Alberts T2Y 0H2. Description: The home at 536 Evergreen Ci Sw Calgary, Alberta T2Y 0H2 with the MLS® Number C4236927 is currently listed at $599,900.